GERMANTOWN — Take a ride along Chelten Avenue with the signage suffix David P. Richardson Boulevard, and one will see something new. The old Frances D. Pastorius Elementary School at the corner of Sprague Street has a new name. It is now the Pastorius-Richardson Elementary School. The school not only bears the name of philanthropist Pastorius but that of the late state Rep. David P. Richardson Jr. This is not the only new recognition of the late state lawmaker who served as the head of the Pennsylvania Legislative Black Caucus. There is now a new 5-foot portrait of Richardson that was unveiled after the recent renaming ceremony at the school. 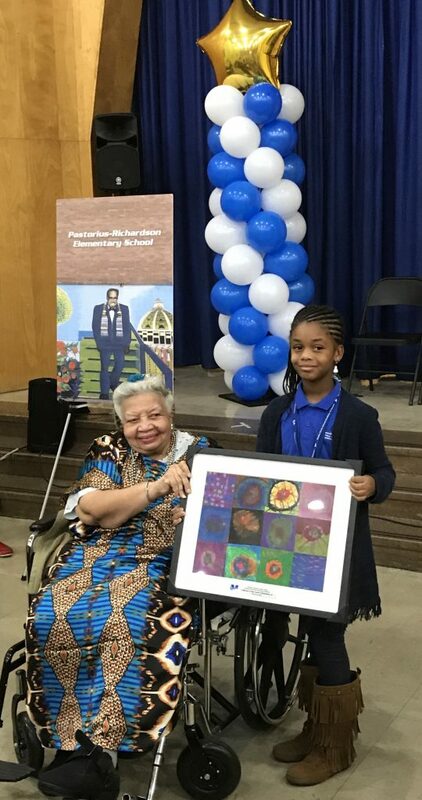 In addition, a new Richardson poster and artwork were given to Elaine Richardson, the legislator’s mother. Plus, an exterior mural of Richardson had been previously installed.